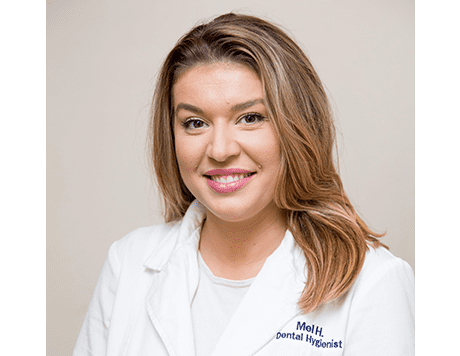 My name is Mel Hadzovic and I have 4+ years of experience in the dental field. My role as your dental hygienist is to provide comfortable care, a thorough assessment of findings, dental hygiene treatment planning, and prophylactic care combined with patient education and oral hygiene instructions. It is very gratifying for me as a hygienist to give care to my patients in a calm and caring atmosphere where their comfort and well-being is the main concern.